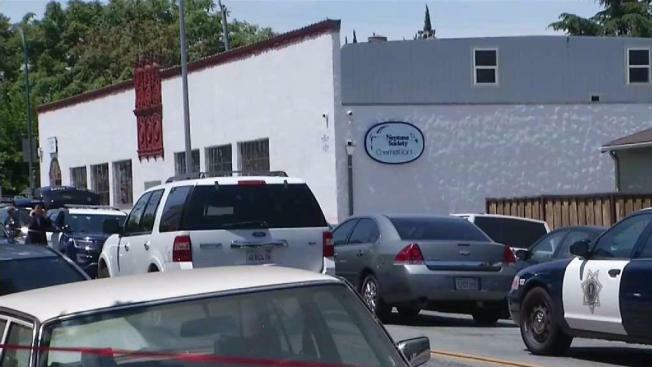 Police are investigating a suspicious death after a man's body was found Friday in San Jose. Damian Trujillo reports. Police are investigating a suspicious death after a man's body was found Friday in San Jose . Officers at 10:30 a.m. responded to reports of a man down in the 700 block of South 2nd Street. When police arrived on scene, they located a man in an alley in the area. He was pronounced deceased at the scene, according to police. The cause of death is unknown, but does appear suspicious, police said. Homicide detectives are also investigating the death.